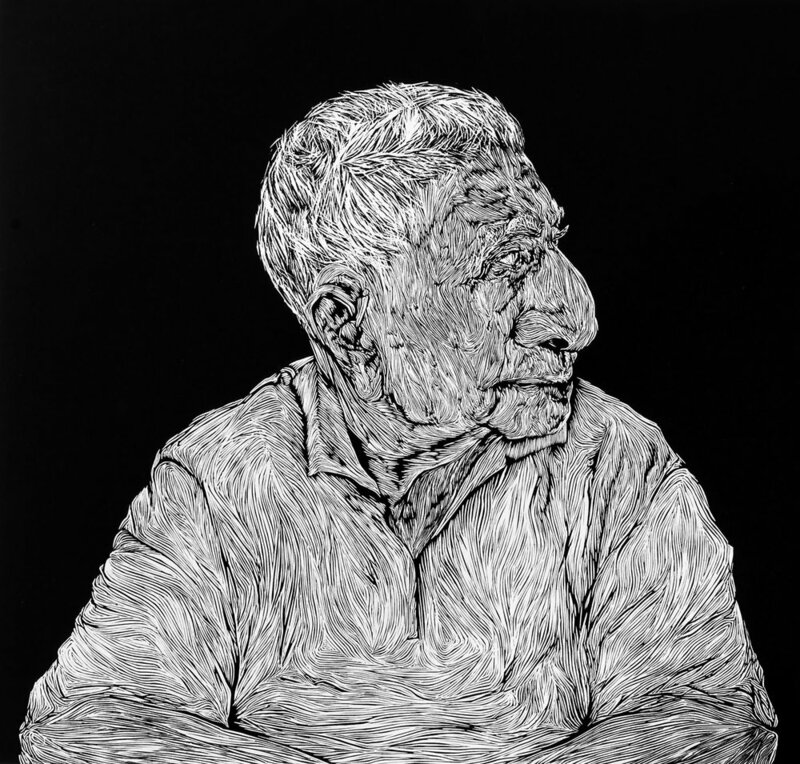 In her collection of printed portraits, Keren attempts to create complex, highly detailed linocut carvings with just enough gritty attractiveness to awaken even the quietest of viewing eyes. The bold monotone colour pallette attempts to ignite each crevice of the of the figure; to enliven the space where the wrinkles stand firmly bound within the black background and frame. The many undiscovered cultural backgrounds provide a sense of illusionary context. Each portrait remains a statement of a name unknown with only a facial presence. A hint of the rough texture of skin and bones adds to the overall sense of a life hard lived, where figures with arms and hands speak in a softening gesture. 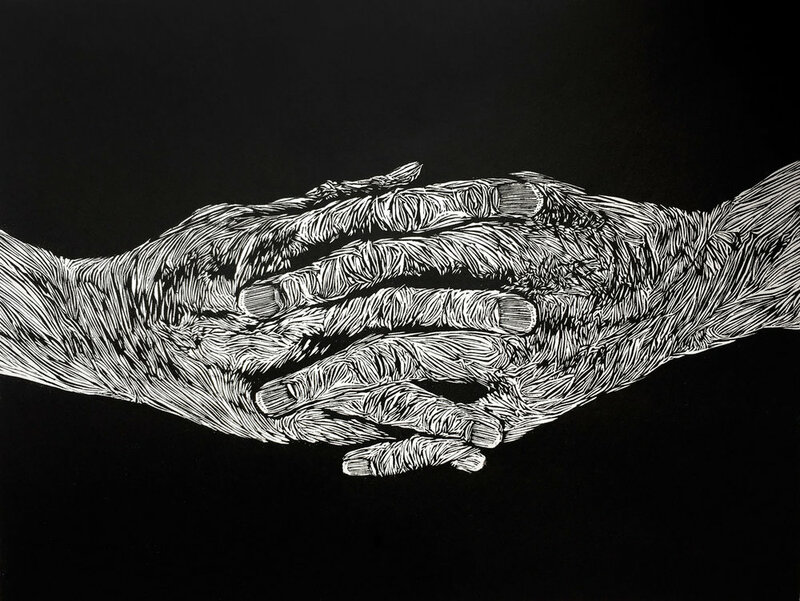 "...I find it extremely hard to find a press that is sensitive enough to produce my prints, as my linocuts have a lot of complexities to them. I often make very shallow cuts to get the right level of detail in many sections of my portraits. Mitomel’s press has a soft kiss effect, and I’m able to get so much more out of my prints than I have with other presses. This pressure is so vital to printmaking..."